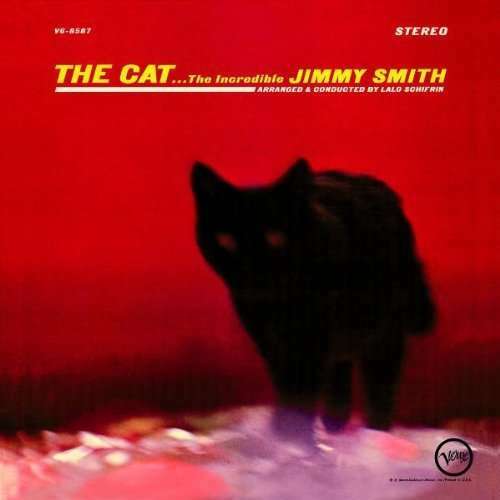 Der Artikel Jimmy Smith (Organ) (1928-2005): The Cat wurde in den Warenkorb gelegt. + Bernie Glow, Thad Jones u.a. In his years with Verve, Jimmy Smith and his jaunty jazz organ made four appearances on Billboard's hit-singles charts with his recordings of contemporary movie themes. This album, arranged by Lalo Schifrin, features selections from two film scores (including "The Cat," for which composer Schifrin won a Grammy), some big-band style orchestrations, and plenty of blues. In 1964 this release defied the boundaries of idiom, appealing to a huge audience of jazz, r&b, and pop fans.